One year ago today, I answered the worst phone call of my life. I will always remember where I was; the moment is emblazoned in my memory. It was around 2 in the afternoon and I was just getting started on my day’s work. My close high school friend’s name lit up my phone. I thought it was unusual to get a call from her in the middle of the day, and that’s why I was compelled to answer it. There was a moment of confusion. The face of an old high school boyfriend popped into my head; who else could she be talking about? I couldn’t make it to the door before the tears started pouring out. I almost managed to get into the daylight before a sob escaped. “What? What happened?” She didn’t really know. Jess is one of my oldest, closest friends, and arguably the anchor of our friend group. Scott is one of her twin boys. When I received that phone call, he was a little over six months old. I didn’t go back to work that day. I went home and booked a flight home for my friend’s son’s funeral. I called another mutual friend and we cried together. I washed a load of black and gray clothes and put them in a duffel bag. I lay on the couch and stared into space. I talked to my parents as I paced back and forth. I sat at the table with my boyfriend and forced myself to eat leftover chili, thinking the lights were too bright. I thought about my friend. In the year that followed, I never stopped thinking about her. Because this story isn’t about me. It’s about Jess, and her husband Andy, and their beautiful boys. It’s about the realization that hits you deep in your gut, that the moments that really count in life aren’t always filled with brightness and joy, but darkness and despair. And it’s about being touched and changed by a little person too young to even walk or talk. The last time I got to hold Scotty, in March 2014. As the night went on, the twins got fussy. I stood with Jess in a bedroom away from our other friends as she fed them bottles and bounced them up and down, at one point holding one of her boys while she propped a bottle up for another with her foot. She insisted I go enjoy my time with our friends; I insisted I enjoy this time with my two “nephews.” I’m so thankful that I did. Would our moments together have been sweeter, or more painful? Would we be filled with anxiety, counting down the minutes and seconds? Or would we have been at peace, soaking in every snuggle and smile? Scotty taught me that those we love can be gone in an instant, with no warning, and sometimes much too soon. Why waste our time with anything but love? I still feel guilty when I express the struggles that I had coping with Scotty’s death. I know that my pain is dwarfed by the darkness that swallowed my friends and their families. But my heart was deeply touched to see how they have been there for each other this past year, and how their network of friends came together around them. I spent two days at Jessica’s parents’ house for Scotty’s shiva. I was in awe, seeing hundreds of people come through, expressing how much this family has touched their lives. There were in-laws in the kitchen, keeping everyone fed, and friends making sure Jess and Andy were eating and drinking water. I hoped I was doing enough for my friend by quietly holding her hand or sitting with her son Logan while he slept. It was in those first dark days that I was really hit by the realization of how much we all depend on each other. I saw a lot of sadness, but I saw a lot of beauty, knowing these are the times when stepping up for the ones we love matters most. When the shiva was over, most of the people went away but the pain didn’t. In the months that followed, being there for Jess became an exercise in the true meaning of being a friend. I still lived a thousand miles away, so since I couldn’t physically be there most of the time, I tried to show my love in whatever ways I could. I texted my friend every day, anything I thought might lift her spirits–old photos, inspirational quotes, funny memes, words of encouragement. I probably overused the heart emoji. Sometimes I didn’t hear back. But she always told me later how much it meant to hear from someone who cared. It was a hard year for me in other ways, and yet being there for Jess seemed more important than anything I was going through. There were times when she would insist we talk about what was going on in my life instead of hers. While I’m sure she was tired of thinking about what was weighing on her heart, it was another meaningful lesson in friendship; she wanted to be there for me, even in her darkest days. Jessica insisted that even though my problems weren’t as crushing as hers, they were still important. And yet, seeing what her family has been through made me feel they weren’t as important as I’d once thought. In the year that followed, I found my perspective shifting dramatically. I found patience when it came to dealing with “the small stuff.” Frustrations at work, flaky friends, traffic–I started to realize the day-to-day annoyances would make no difference in the long run. 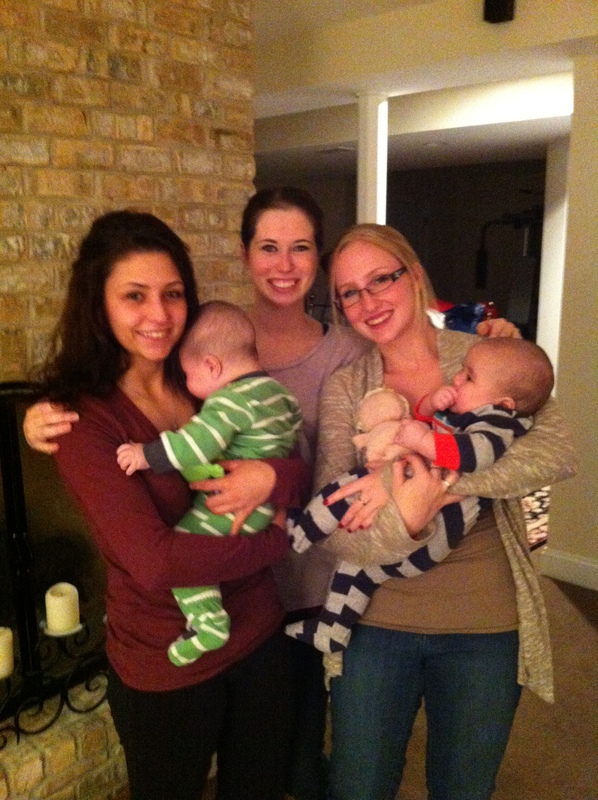 The first time I got to meet and hold my little nephews, in December 2013. At the same time, I felt my priorities shifting. Losing Scotty made me realize I didn’t want to lose any more time with the people I love the most. I loved living in Austin, Texas, but seeing my family and friends just a few times a year wasn’t cutting it for me. That feeling was a major motivator when I decided to move back to my hometown. The past year has been a roller coaster, as I’ve learned to cope with something I never dreamed would happen to someone so close to me. I still feel angry; I still feel sad. But I also feel incredibly proud of the strength and resilience I’ve seen in my dear friends and their families. Scotty’s life was much too short. But the impact of that short life was not lost on me. I know we will never forget his sweet spirit, and I pray I never forget the lessons he’s taught me. 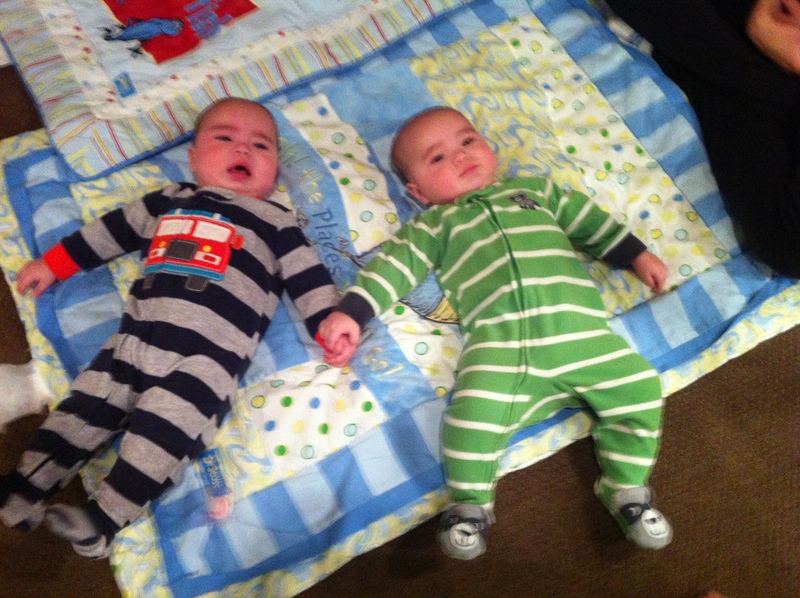 Scotty (left) holding hands with his brother, Logan, in March 2014. **If you were touched by Scotty’s story, you can give back in his memory. Please donate to the Rock The Dot! fund for youth education.